We kindly inform that there is a possibility of buying DVDs with materials recorded each day by a professional film studio during XXth FAI Word Championships for Scale Model Aircraft Wloclawek 2008. Now it's time to summarize the XXth FAI Word Championships for Scale Model Aircraft 2008. -	our website was visited by users from 49 countries. We would like to thank you all for your interest and visiting our website. 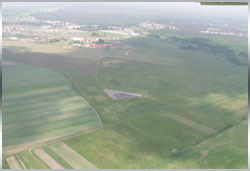 The closing ceremony of XXth FAI Word Championships for Scale Model Aircraft 2008 took place on the airfield of Wloclawek Aeroclub at 5.00 p.m. on 19th July 2008. There were many invited guests and viewers present there. Official results were announced and awards were presented to the winners. Winners were also given diplomas and medals. Mr Narve L. Jensen, President of FAI Jury, officially closed the Championships. The ceremony was closed and spectators could admire the modellers' show accompanied by music and presented by two modellers from Torun Aeroclub: Mr Michal Ruminski - Polish Champion in F3A class and Mr Marek Zakrzewski. XXth FAI Word Championships for Scale Model Aircraft 2008 became history. PS. We highly recommend visiting the gallery of photos from the ceremony. You can see up to date results. Dear visitors and modelling fans. We kindly inform you that the results of the first round of flights and static rating will be available on our website tomorrow (16.07.2008) morning. Today, after static processing, at 2 p.m. first compete flights was began. We invite you to see the pictures from the Opening Ceremony of 20th FAI World Championships for Scale Model Aircraft. You can watch the competition by installed on-line camera. To watch the video stream you should download a ZIP file, extract it and run the LotniskoKruszyn.exe program. The 20th FAI World Championships For Scale Model Aircraft 2008 will be held in Wloclawek Poland from 11th untill 20th July 2008. The host of this event will be the Aero Club of Wloclawek at Kruszyn Airfield. The Aero Club of Poland and the Aero Club of Wloclawek invites you to compete in Open International Contest For Large Scale Model Aircraft Wloclawek 2008. This contest will be run simultaneously with the 20th FAI F4B,C WCHs. You can watch Official Short Schedule for FAI F4 WCHs Wloclawek 2008. Last modernizations of flying facility. We have been finished the modenizatons of the flying models facility for F4C class lately. Now the asphalt surface area is smilar the triangle /sizes 120mx95mx85m/. IMPORTANT INFORMATION: We will add to the Bulletin no.2 information about the costs of sight-seeing trip to Torun and Ciechocinek which is planned on the 19th July 2008. Sight-seeing trip costs 38 euro. You can download "Final Entry Form for Natinal Team F4B sen. F4B jun. F4C class"
You can download "Final Individual Information Form"
The USA Team is the first one who preliminary entered the World Championships. Thanks for such a quick answer. We do hope to meet together in Wloclawek.July 2008.